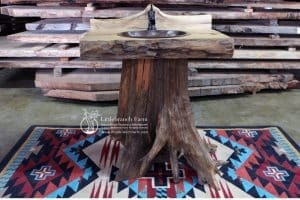 Juniper log bathroom vanity is 36″(wide) x 36″(tall) x 24″ deep. Custom sizes available! SOLD! The pictured vanities are an example of this design. Please contact us to order! 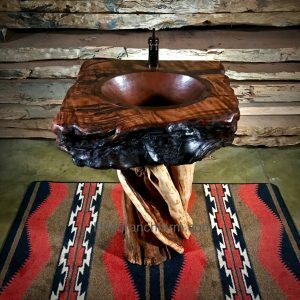 Juniper log bathroom vanity has a juniper log base supporting a live edge wood countertop. This style of rustic vanity also comes with wood slab storage shelves. 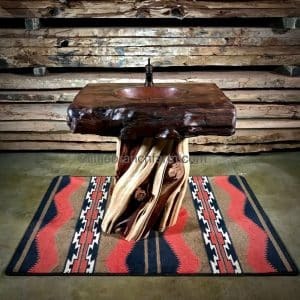 We spend an average of an hour per day in the bathroom, why not create a uniquely relaxing environment. One way to create a zin spa bathroom is to bring nature indoors. 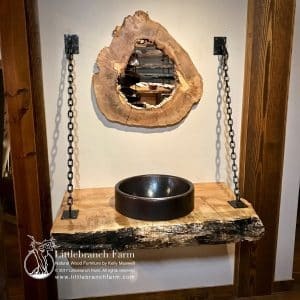 Adding natural wood furniture pieces such as a burl wood mirror or floating wood shelves is a start. 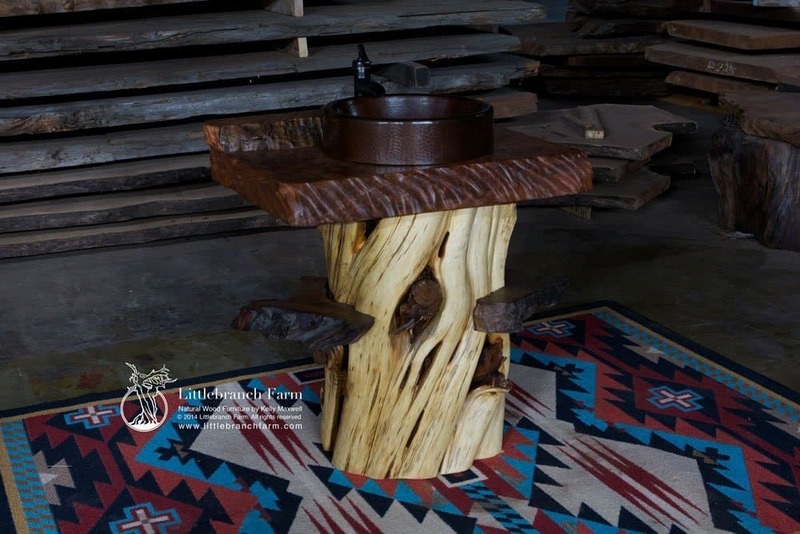 But along with a hammered copper sink carved into a wood slab countertop, you will have a warm relaxing enviroment.